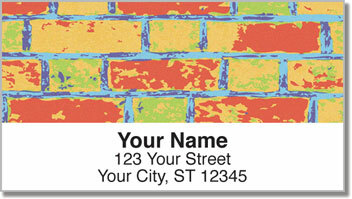 A rainbow of colorful bricks makes this set of mailing labels a brilliant way to top off your outgoing mail! Instead of traditional red brick - we've taken the liberty of transforming things into a vibrant display of eye-popping hues. It's the perfect pick for people with bright personalities and a savvy sense of style. But the best part about this product is how convenient it can be. 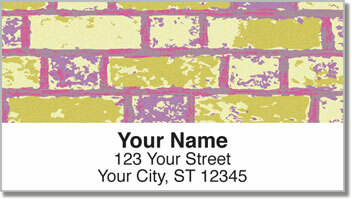 Forget about scribbling out your name and address on every envelope over and over again. 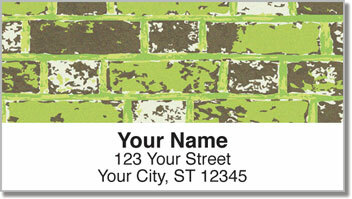 That tedious task will be no more thanks to the handy self-adhesive backing on your new labels. 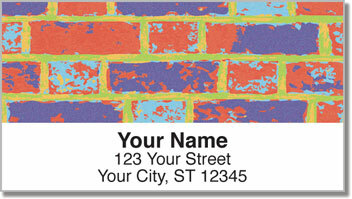 Get your very own Colored Brick Address Labels from CheckAdvantage right now! Order them with a set of matching checks.